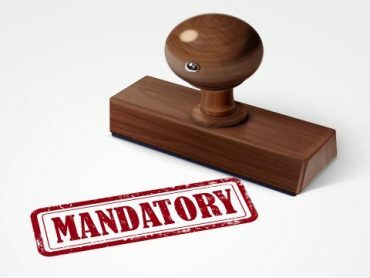 Mandatory Business Information required to Efile Form 2290! This entry was posted in 2017 - 2018 HVUT, 2290 e-file provider, 2290 for 2017 -18, 2290 Mobile App, E-file 2290 Tax, Efile Now, Electronic Filings, Federal Excise Tax, file form 2290, Form 2290, form 2290 online, Heavy Vehicle Use Tax, IFTA, Insiders on E-filing, IRS Authorized E-file provider, IRS Shutdown, Schedule-1 Copy, Tax 2290, Tax Form 2290, Tax2290.com, TaxExcise.com, Truck Tax Form 2290, Truckers Need, Useful Info and tagged 2017 tax form 2290 filing, 2290 due date, 2290 e-file, 2290 filing, 2290 online, 2290 online filing, 2290 tax, 2290 tax filing, 2290 Tax Form, 2290 truck tax, Due date for IRS Tax Form 2290, efile 2290, Federal Heavy Vehicle Use Tax, Form 2290, Form 2290 deadline, Form 2290 E-file, form 2290 electronic filing, Form 2290 filing, Form 2290 for tax year 2017, form 2290 heavy highway vehicle use tax return, form 2290 online, Heavy highway Vehicle use tax, Heavy Highway Vehicle Use Tax Return, Heavy Vehicle Use Tax, Heavy Vehicle Use tax form 2290, Highway Vehicle Use Tax, how to file 2290 online?, how to file irs form 2290?, HVUT Form 2290, irs 2290 filing, IRS Form 2290, IRS form 2290 e file, IRS Form 2290 Online Filing, IRS Tax Form 2290, New tax year 2017 HVUT, road tax form 2290, tax 2290 electronic filing, Truck Tax Form 2290, what is form 2290, where to file 2290 tax return? on December 7, 2017 by Tax Expert. IRS E-file Servers will be down for Maintenance Soon! This entry was posted in 2017 - 2018 HVUT, 2290 e-file provider, 2290 for 2017 -18, 2290 Mobile App, E-file 2290 Tax, Efile Now, Electronic Filings, Federal Excise Tax, file form 2290, Form 2290, form 2290 online, Heavy Vehicle Use Tax, IRS Authorized E-file provider, IRS Shutdown, IRS Updates and Tax Tips, Schedule-1 Copy, Tax 2290, Tax Form 2290, Tax2290.com, TaxExcise.com, Truck Tax Form 2290, Truckers Need, Useful Info and tagged 2017 tax form 2290 filing, 2290 due date, 2290 e-file, 2290 filing, 2290 online, 2290 online filing, 2290 tax, 2290 tax filing, 2290 Tax Form, 2290 truck tax, December 31st, Due date for IRS Tax Form 2290, efile 2290, Efile Shutdown, Federal Heavy Vehicle Use Tax, Form 2290, Form 2290 deadline, Form 2290 E-file, form 2290 electronic filing, Form 2290 filing, Form 2290 for tax year 2017, form 2290 heavy highway vehicle use tax return, form 2290 online, Heavy highway Vehicle use tax, Heavy Highway Vehicle Use Tax Return, Heavy Vehicle Use Tax, Heavy Vehicle Use tax form 2290, Highway Vehicle Use Tax, how to file 2290 online?, how to file irs form 2290?, HVUT Form 2290, irs 2290 filing, IRS Form 2290, IRS form 2290 e file, IRS Form 2290 Online Filing, IRS Tax Form 2290, IRS Year End Shutdown, New tax year 2017 HVUT, road tax form 2290, tax 2290 electronic filing, Truck Tax Form 2290, what is form 2290, where to file 2290 tax return? on December 5, 2017 by Tax Expert.